Eschew the tourist crowds and head to Dolphin & Whale Watching and Speed Boats Tours. 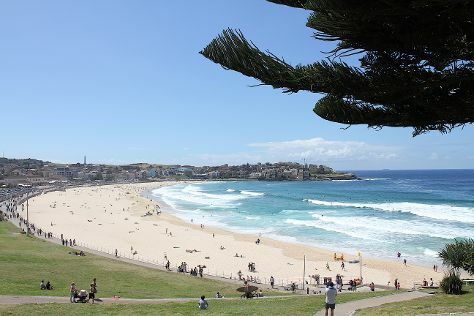 Family-friendly places like Bondi Beach and Shelly Beach will thrill your kids. Next up on the itinerary: catch a live performance at Sydney Opera House, get curious at Powerhouse Museum, enjoy the sand and surf at Manly Beach, and admire nature's wide array of creatures at Sea Life Sydney Aquarium. To see ratings, other places to visit, where to stay, and tourist information, you can read our Sydney day trip planner . Shanghai, China to Sydney is an approximately 13.5-hour flight. Traveling from Shanghai to Sydney, you'll lose 2 hours due to the time zone difference. Expect colder temperatures when traveling from Shanghai in July; daily highs in Sydney reach 21°C and lows reach 9°C. Wrap up your sightseeing on the 8th (Mon) to allow time to travel to Melbourne. 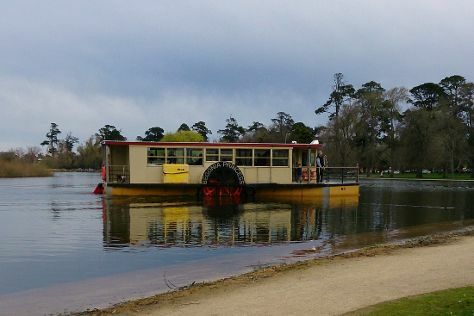 Eschew the tourist crowds and head to Lake Wendouree and Eastern Beach Reserve. Attractions like Ballarat Wildlife Park and Melbourne Zoo make great kid-friendly stops. Explore the numerous day-trip ideas around Melbourne: The Mill Markets (in Daylesford), Cowes (A Maze'N Things & Tyde) and Werribee Open Range Zoo (in Werribee). There's much more to do: take in nature's colorful creations at Royal Botanic Gardens, have some family-friendly fun at Zero Latency, get a taste of the local shopping with Degraves Street, and step off the mainland to explore Churchill Island. For traveler tips, other places to visit, more things to do, and other tourist information, you can read our Melbourne visit planner. Traveling by flight from Sydney to Melbourne takes 3.5 hours. Alternatively, you can do a combination of flight and shuttle; or drive. In July, Melbourne is little chillier than Sydney - with highs of 15°C and lows of 6°C. On the 16th (Tue), you'll have the morning to explore before heading back home.